With over 10 years of experience serving the Washington DC, and Northern Virginia area, Mary’s Cleaning Services is a company that provides a complete range of cleaning services. From commercial janitorial services to residential cleaning service. 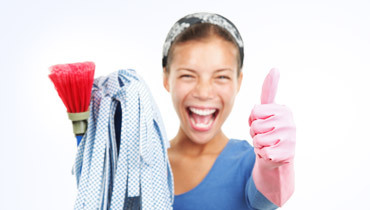 Mary’s Cleaning Services specializes in residential cleaning. We have been working in homes around the metropolitan area for many years. We know that your house is your most precious possession and that you always like to walk into a beautiful clean house. We provide a complete range of cleaning services for your building, office, or any other commercial facility. You can be sure that our team of experts can take care of every detail concerning the maintenance of your facility. Mary’s Cleaning Services provides thorough and detail oriented post construction / remodel cleaning services. Our attention to detail is unparalleled and guarantees you receive our highest level of cleaning services. We have managed to stay on top due to our great service and affordable prices. Mary’s Cleaning services tailors its service to your needs and works with you to provide you with the service that you want and need. Browse our site to find out more on how Mary’s Cleaning Services can help you with your professional cleaning services. Do we clean in your area?